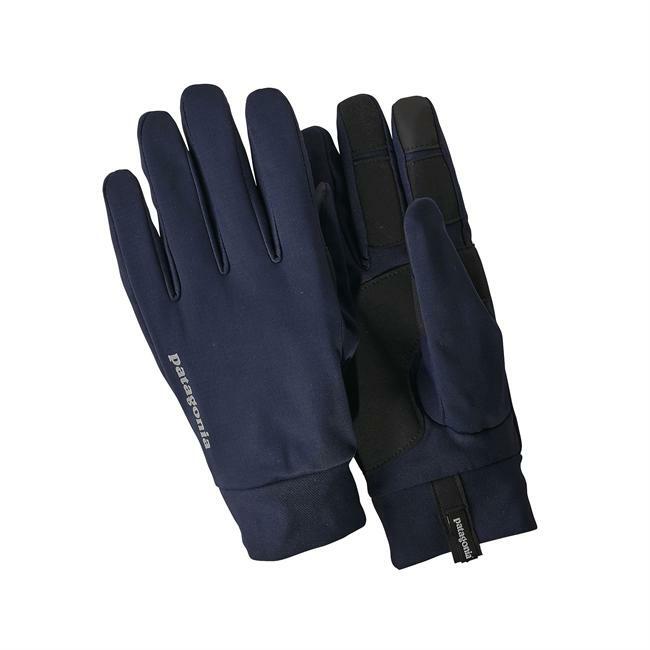 Great gloves for high output activities in cold weather. 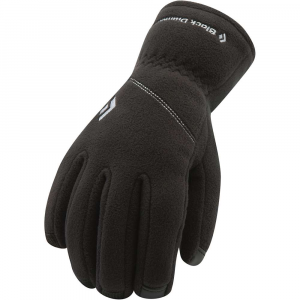 Great gloves for high output activities in cold weather. Lightweight, breathable, lightly insulating, and touch-screen compatible. Perfect for winter trail running, snowshoeing, and cross-country skiing. I just returned from a three-day trip to Mammoth Lakes in California's eastern Sierras. 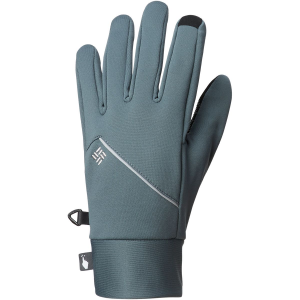 The Wind Shield Gloves were my go-to gloves for snowshoeing day trips the whole time. The gloves come in sizes XS-XL. I typically wear a medium, and these are true to size. The fit is slim. 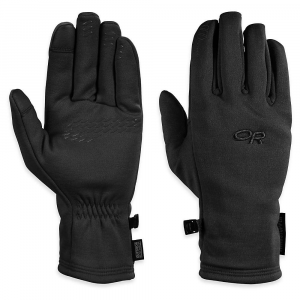 They have no adjustability, but the cuffs are secure and low-profile for comfortable layering. They fit nicely under the straps of my trekking poles. These gloves are not very warm. But, that's a good thing! 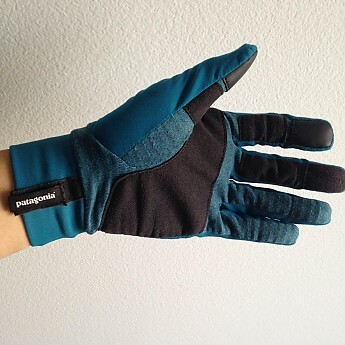 The palm material is Patagonia's Capilene Thermal Weight baselayer material. It provides light insulation, but breathes and wicks moisture very well. 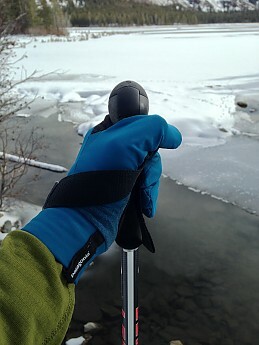 I used these gloves in temperatures ranging from 28 degrees in shady forests to 45 degrees on the shores of Lake Mary. I was comfortable and never had numb fingers while on the move. Key phrase: "on the move." If I stopped moving and cooled down, I needed to put my hands in warm pant pockets to keep them warm. 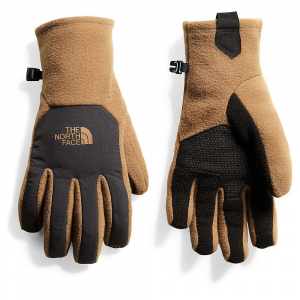 The back of the hand is stretchy, wind-resistant softshell material, and it protects the hand well when in a closed position like around the handle of a trekking pole. I didn't see any precipitation in the Sierras, so I can't testify to their water resistance. After falling in the snow on a powdery downhill though, the gloves dried quickly and were back in action in a flash. 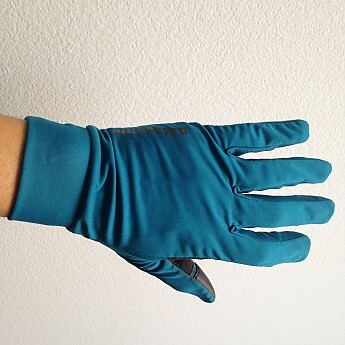 The palm and middle finger have synthetic suede for grip and durability. They showed no signs of wear in these areas. The thumb and forefinger have touch-screen compatible panels for smartphone use on the go. I know, I know: we go to nature to get away from electronics. But, I use my iPhone as my camera, and not having to take my gloves off to take pictures was awesome. 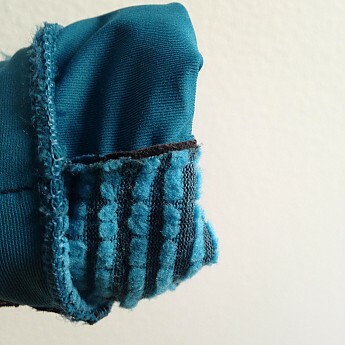 Two loops on the bottom inside of the cuff make pulling on and off and clipping to your pack with a biner a cinch. The only thing I am worried about is durability. 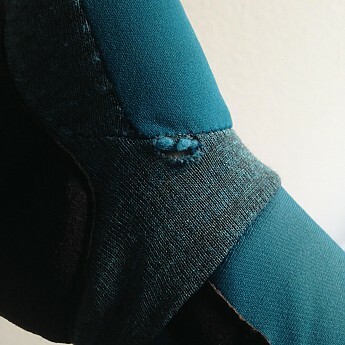 After two days, the seam between the thumb and the inside wrist opened up. It will be an easy needle-and-thread, at-home fix, but still a bummer. The shell material seems more durable than the knit Capilene, so time will tell. 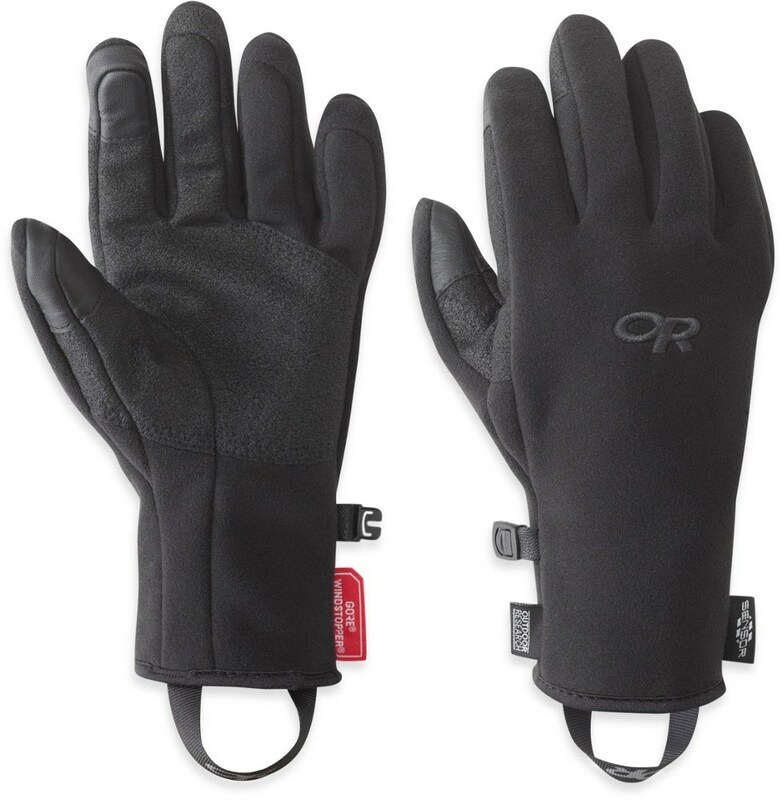 Overall, a great pair of gloves for the active winter outdoors person. Disclosure: I am a sales associate for Patagonia's Ventura, CA retail location. My views do not necessarily represent the views of Patagonia, its representatives, or its affiliates. I pride myself in providing unbiased reviews of products I purchase for my personal use. Thanks for the review, Sebastian. 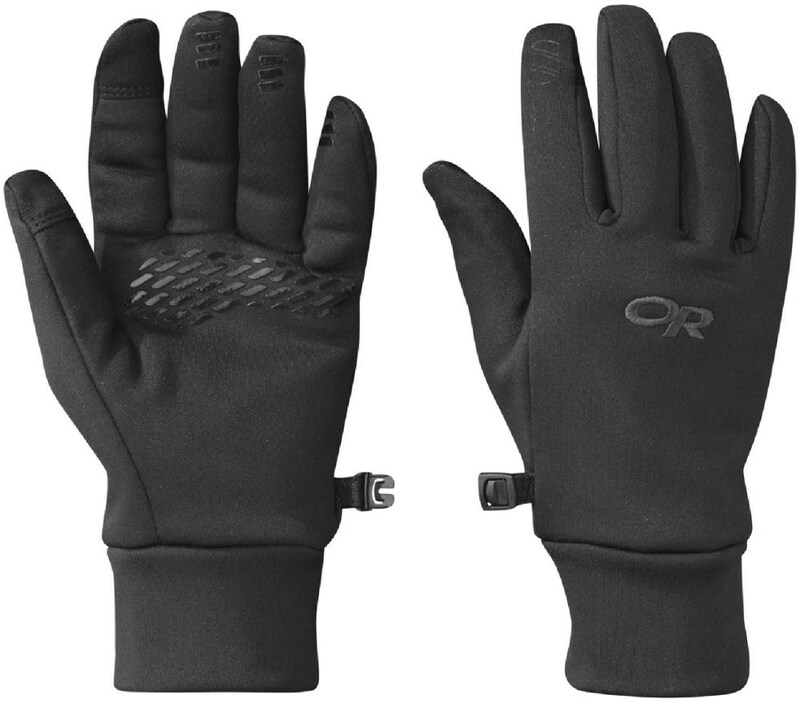 I'm always looking at gloves for winter running, skiing, and hiking in their various combos of layers.